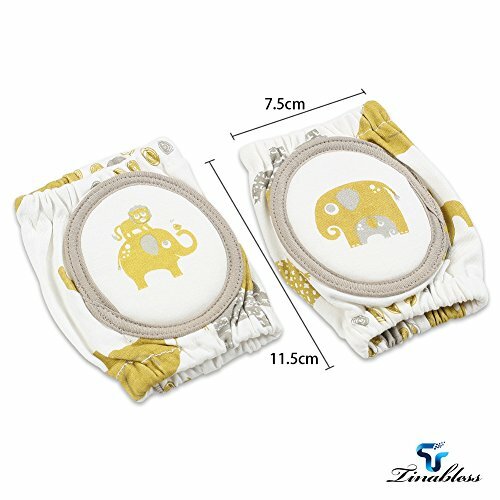 COMFORTABLE BABY KNEE PADS MATERIAL - Eco-friendly 90% cotton. And the center knee pad cushion is design of high elastic sponge,they are very breathable, absorb sweat and soft to wear. 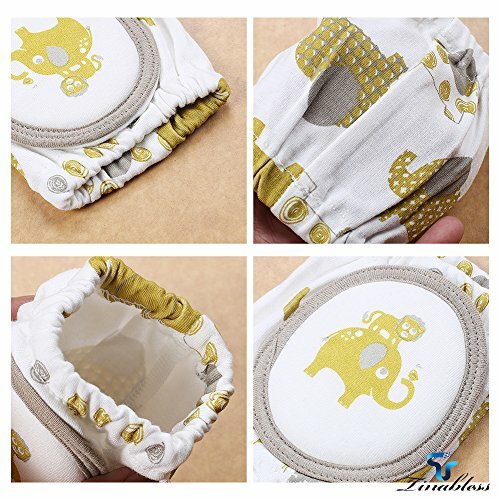 PROTECT BABY'S KNEES - With these pads you can protect your little darlings' knees from bruises and scrapes when they are curiously crawling and learning to walk. PERFECT CHOICE – Our Crawling Safety Protector can let your baby's knee to keep warm. And won’t worry about that they will be hurt when they are crawling. It’s also very convenient for you that these items can machine wash and tumble dry. BABY SHOWER GIFT - The colors and patterns are gender neutral. There is a elephant in our knee pads, it’s funny and cute. Both boys and girls will like it. It's a perfect baby shower gift. 100% MONEY BACK GUARANTEE – We only care about your 100% satisfaction. If you feel that these baby guard knee didn’t live up to your expectations, let us know and we promise a 100% money back guarantee.